Derniere Volonte new album – Chain D.L.K. in nice debossed and spotvarnished Digipak with 16page booklet. beloved people and their spirit – which is and always will be present in our souls and memories. 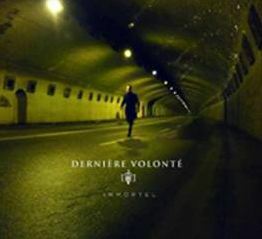 from the early days as well as it will approach a lot of new fans from other musical scenes to the music of Derniere Volonté! gatefold cover and will include an exclusive bonus 7inch Single, containing a song not featured on the CD! PLEASE ORDER FAST for the limited Vinyl set!